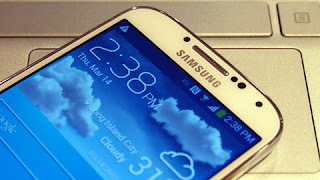 The Samsung latest model Galaxy S4 was now official in the Philippines on Monday. Through the Globe Telecom, they made available the smartphone S4 in the country and it will be in stores nationwide starting May 2, 2013. Globe Telecom Platinum plans subscribers can avail Samsung Galaxy S4 with a free Samsung device. Samsung Galaxy S4 have two colors available, White Frost and Black Mist. For complete specifications, just click here. If you like to avail the Samsung Galaxy S4, you can order online and choice your plan at www.globe.com.ph/galaxys4. For the meantime, If you like this information, please bookmark it now or visit this site more often for you to be updated. You may also share this post to your friends so they may know about the Samsung Galaxy S4 Officially Launched in the Philippines. Comments or suggestions about "Samsung Galaxy S4 Officially launched in PH" is important to us, you may share it by using the comment box below.